Secrets St James is ideally situated near Montego Bay, resting on the north-east coast of Jamaica and 8km from Sangster International Airport. 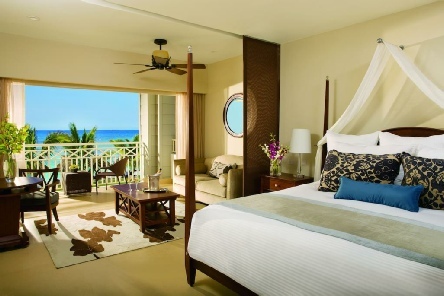 Secrets St. James Montego Bay offers 350 luxurious guest suites, each featuring British colonial décor, a king-size bed (or two queen-size beds), whirlpool tub, private balcony and complimentary mini-bar. Indulge in an expansive array of international cuisine. Choose from seven á la carte gourmet restaurants, a buffet venue and more – reservations are never required. Or sneak away for a romantic meal in your suite or on the beach. There is a huge pool and a world class spa. Limitless access to gourmet à la carte dining options without reservations required; unlimited international and domestic top-shelf spirits; unlimited natural fruit juices and soft drinks; 24-hour room and concierge services; pool and beach waiter service; daily refreshed mini-bar with soft drinks, juice, bottled water and beer; daily maid service; endless daytime activities and live nightly entertainment; theme parties, oceanfront bars and entertainment venues. This high-end, adults-only retreat has won awards from Condé Nast Traveler. Its setting will certainly have helped – it’s on a quiet peninsula, with over half a mile of private beach. 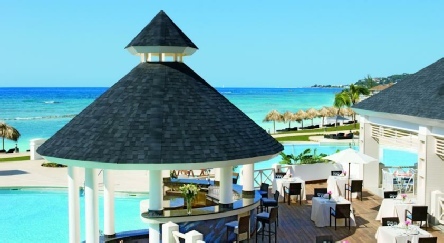 2019 package holidays to the Secrets St James, Jamaica Prices are per person based on two sharing.